Little known fact. I share the same birthday as Lauryn Hill. Like a number of legendary musical geniuses (myself included), she's a Gemini. That should come as no surprise due to her progression as an artist over the years, her lyrical complexity, and her ego, rooted in her beliefs. Lauryn Hill hasn't had the best reputation over the years, but it's somewhat understandable in many ways. Her reputation is essentially that of a woman crazy and out of touch, swept up in entitlement due to her stature and asking to be called Ms. Lauryn Hill. This type of perceived narcissism from the public is never met with open arms, even though she has every right to asked to be called whatever she wants, and can do what she pleases. Where her reputation takes a legitimate hit is her unprofessional disposition about showing up to her concerts that she's paid to do. Lauryn has control of her career for the most part, and while she could show up on time to her shows, given the things she's dealt with in the industry since her beginning, one might consider her absences and no-shows strategic. Regardless, before we arrived to this point, Lauryn had an interesting journey to get to the level she would make it to. 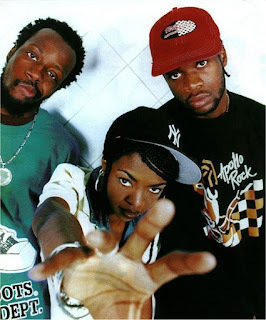 Born in New Jersey, she was a gifted child, and while in high school, she would meet Pras, who would recruit her to start a band called the Tranzlator Crew with another female vocalist. However, that didn't work and Pras would bring Lauryn along with his cousin Wyclef Jean for a new act, and they would call themselves The Fugees. While this was the start of her music career, interestingly enough, Lauryn had a way into the industry before her musical success really came of age. Lauryn didn't grow up in the hood or under impoverished conditions like many of those within the culture, she came from a mostly middle class upbringing. This has been called into question on occasion to signal that maybe she doesn't relate to the culture and the struggle, and while that's quite accurate, the culture isn't limited to our struggles. Rather what makes this culture so strong is the talent. Lauryn had more than enough of that. She would eventually begin performing with the group at talent shows and local area events, before testing her luck on Showtime At The Apollo, which didn't go that well for her, but it didn't deter her from keeping at her dream of music. She would take some acting classes, which would lead her right into the world of acting, a place that she wouldn't spend too much in, but enough time to shape her career some. Her first major role was on As The World Turns, the soap opera and while that role was slightly significant, it was only a taste of what was to come. Lauryn might not have had the chops to be a true leading lady, but she had the tools to be a successful actress, which led her to her most known role. In the film Sister Act 2: Back In The Habit, Lauryn shined as Rita Watson, a Catholic School student who had been blessed with the gift of singing. Unabashedly shy about her gift and embarrassed due to her mother's opinion of the concept of that gift, she would be held back from doing what she loved most.... a role that would mirror Lauryn's life in some way down the line. 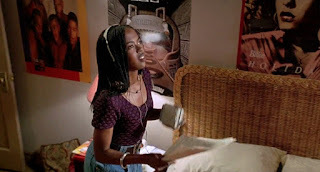 Lauryn was focused on gaining more acclaim and attention for her acting, and she would garner a few more significant roles, including a small role in the film "King Of The Hill". 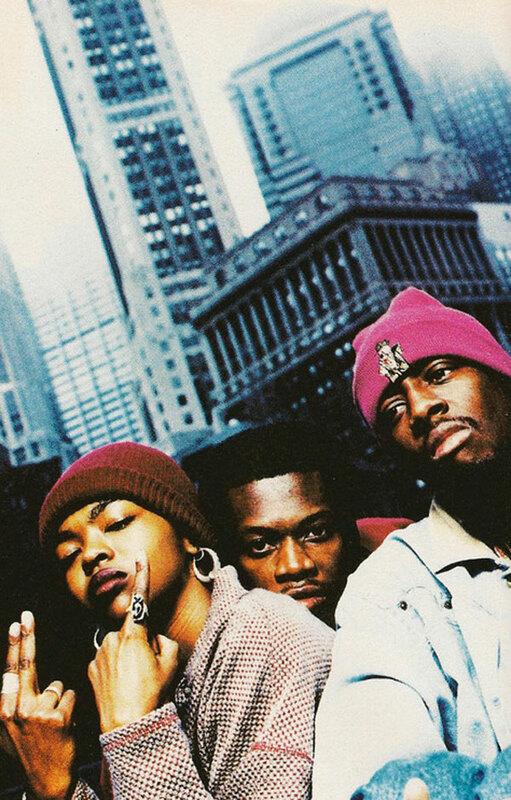 She would get to work on an album with Wyclef and Pras, and in 1994, the group adorned as the Fugees would release their debut on Columbia/Ruffhouse Records. The debut, titled "Blunted On Reality", seemed less of an album that was of three middle class citizens, but one of the impoverished and the gangsta rap styling that had begun to take over. 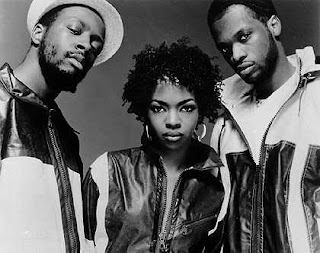 Certainly, the label had asked them to follow in these footsteps of the more popular artists, but the Fugees did it how they saw fit in a way. Infusion of different genres, including a jazz and reggae undertone provided by the number of producers definitely made the album something to hear at least. You could tell however that their full potential wasn't being released and while the focus on the album was equally on all three members, it was obvious that the true star of the group would be Lauryn. She possessed that "it" factor which captivates a generation and audience and to many women, she represented what they saw themselves as. She could be rugged, she could be soft and emotional, she could be Rita Watson, she could be a lovely singer, she could be an amazing lyricist, she was complex and multifaceted. That's a huge part of her appeal. Unfortunately, in the context of a group, you don't get to shine as brightly as you'd like or should, so once again, Lauryn was somewhat being held back. 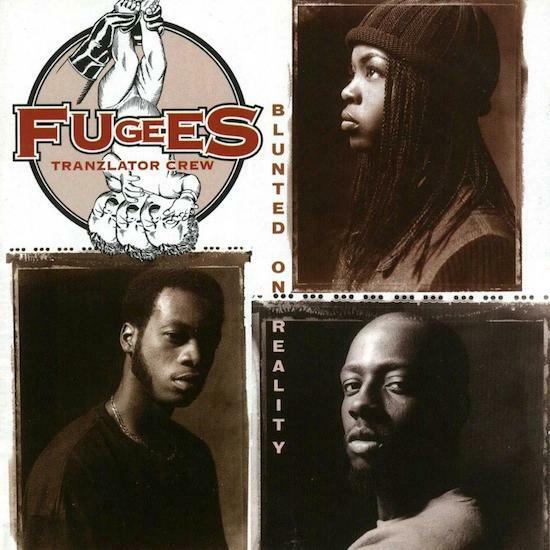 Regardless, after the unsuccessful first album by the Fugees, they took a different turn and went to work on a second project. And for you biting zealots, here's a quote/"
She took no prisoners on tracks like "How Many Mics", and the aforementioned "Zealots", establishing herself as a MC in the vein of a Queen Latifah or MC Lyte, but more lyrically complex and more intricate. 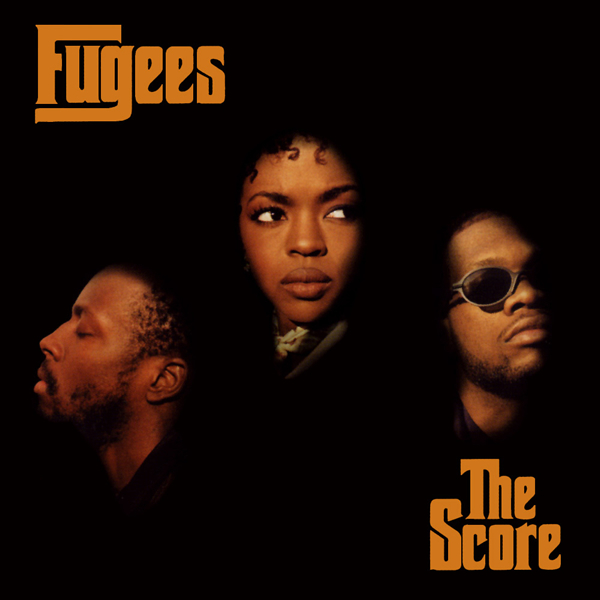 The Fugees album is what had everyone waiting and hoping for a Lauryn solo, and it seemed like that was coming with how much focus was given to her. 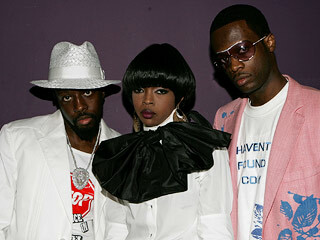 However, the Fugees would go through the rite of passage that every group goes through: the breakup. The breakup was rooted in the growing ego of Wyclef and of course the breakdown of the real life relationship between Wyclef and Lauryn. This story is a bit of a tangled web to discuss, as both Wyclef and Lauryn had other relationships while they were engaging with each other. It was a recipe for disaster and the breakup would definitely be imminent anyways, but they went about it in a respectable way. At first. 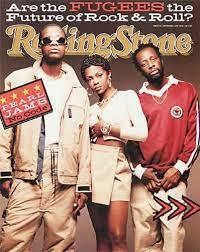 Wyclef released his solo album with just about no involvement from Pras (1 song), but Lauryn was on a few tracks. Pras would see some solo success with the "Ghetto Superstar" track assisted by Mya. Wyclef saw multi platinum success with his solo, which in many ways caught us all off guard, but Lauryn was well at work on something great. It was at this point that Wyclef stated that he didn't want to assist Lauryn on her solo, and that's where things really got a bit interesting. 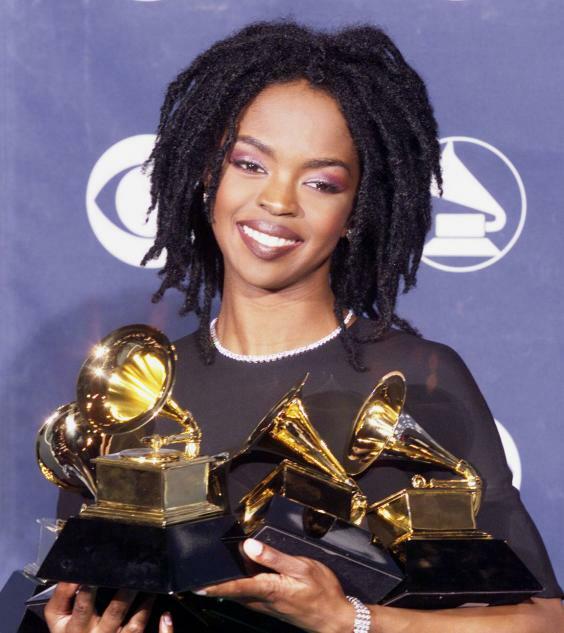 Lauryn set out to work with a new group of producers, named the New Ark, who would go on to help her craft her solo debut "The Miseducation Of Lauryn Hill". According to reports, there was no paperwork in place between Lauryn and the New Ark and they just created the music together with the art being the biggest focus. This is commendable in a lot of ways, as it cuts down on a lot of nonsense of the industry, but proved to be risky for Lauryn and company. New Ark would be credited for a number of songs they helped create and when Lauryn dropped her album, the world was watching and listening. 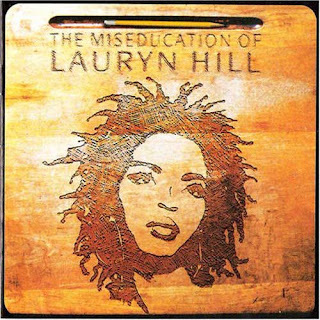 "The Miseducation Of Lauryn Hill" is regarded as a true classic album, garnering a ton of Grammy nominations, awards, and a huge 12 million copies worldwide in sales. It was 1998. Lauryn Hill was on top of the world. She would receive movie roles from everywhere, requests for music collaboration, and she was even named as one of the most beautiful women in the world by a white owned magazine. She had crossed over, broken through, and while fame might entice many of us, for Lauryn, it seemed to make her slightly uneasy. She was a mother of two by the time the album was done the whole spin cycle, and of course one of her biggest songs was dedicated to her first born, "To Zion". It was something that motivated me years later to openly express my love for my daughter on each album. That was my inspiration from a musical standpoint to do so. However, despite being in love, with two children, an album that sold 12 million copies worldwide, and multiple nominations and awards, Lauryn seemed to not be interested in the takeover like most artists would be. She used her album as an outlet for expression, stinging Wyclef with her verses on "Lost Ones", speaking clearly about love with D'Angelo on "Nothing Even Matters", and hinting at her previous relationship with the beautiful "Ex-Factor". It was amazing art, with the most complex lyricism and intricate thought processes we had heard in mainstream music. But, with success comes a form of great responsibility.... in the eyes of the media. They criticized Lauryn for having two children out of wedlock, and being such a young mother of two, forcing her to appease the critics by stating that she and the father of her child would be married soon. The media itself features children of divorce, broken homes, and such, but if you're a star, somehow you're held to a different standard. Lauryn was feeling the pressure and decided to go into a bit of a recluse mode. As this was happening, New Ark had a lawsuit out against Lauryn that was filed just months after the album's release and the success. Some have said that perhaps Lauryn didn't credit them properly, but one has to wonder why this lawsuit comes after it was documented that they didn't want to work with paperwork and just create art. The New Ark said they were credited, but not on enough songs. It helps that Lauryn went out and sold millions of copies, because God forbid Lauryn flops or the album is met with an unsavory reaction, and I doubt the lawsuit would have been THAT intense. Couple that with the pressure of fame, being a "role model" in the eyes of the media, and other things behind the scenes, and Lauryn felt a bit trapped. At least that's the belief. She didn't feel free within this realm and the lawsuit seemed to draw her closer to what people have called "the breaking point". 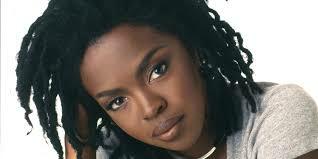 Lauryn was still sought after and many thought she was just taking a break. She kept busy, working on a Bob Marley screenplay, and signing on for the movie Beloved, as well as Sauce, a movie she was leading about soul food, that was a romantic comedy. She would stop these things and turn down a number of movie roles in The Bourne Identity, The Matrix Revolutions, and other blockbusters due to her pregnancy and her own self imposed exile. She would seek the guidance of a spiritual "leader" named Brother Anthony, who seemed to manipulate her mind and mentality during her tough time. I'll keep my personal feelings on this matter to myself, but it seemed like Lauryn was not in her right mind. Was it the industry messing with her? Was fame not worth it? Was she struggling with depression? Struggling with writer's block? Was the pressure too much? Lauryn would answer those questions with the very underrated MTV Unplugged 2.0 project, which was hands down her best lyrical work. She took criticism for not utilizing a full band, but in retrospect, this was for sure her smartest decision after what she had just experienced. Sued by collaborators who wanted more credit than perhaps they deserved, she would just sit alone with a guitar and her own words, creating songs that only she would know the meaning to or she would understand. It was her freedom as an artist and a freeing experience to tell her story and speak honestly with the ability to not have anyone claim her talent as their own, and for her to truly express herself with no limitations. On this album, songs like "Mr. 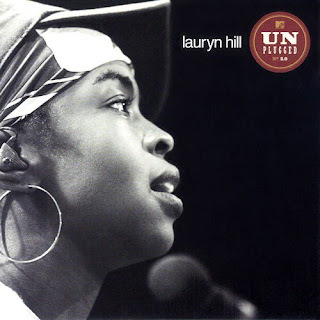 Intentional", "I Find It Hard To Say", the Grammy nominated "Mystery of Iniquity", and my personal favorite song "I Gotta Find Peace of Mind", shows Lauryn in an internal struggle and a personal battle that the media and fans alike couldn't understand so they ridiculed it. Lauryn was without a doubt in her zone on this and lyrically, she would be at her best. Check her verses from "Mystery of Iniquity" to get a better idea of what she was going through. Made a priority to deceive the majority/"
It was absolutely amazing to witness it and watch her express this. Lyrically, this song is an inspiration. While many would say that Lauryn was just using a lot of words to say a bunch of nothing, her message was clearer than ever: she wanted out. She wanted a form of salvation, so she began studying religion and the bible, while being conflicted in many ways. It was a walking contradiction, it was flawed, it was raw, and in that regard, her Unplugged album was perfection. It was a beautiful mess, showing the internal struggle of one of the greatest women to come along in that generation of music and in some way, it was her swan song. She left it all behind in the same manner as she found it: on her own. While many would clamor for another Lauryn album, she went further left than expected, many believing she did this not because she had legit gone insane, but because she was method acting. Calling herself "Ms. Hill", and even considering calling herself "Empress", which would then turn away corporate sponsors and many in the mainstream, who still saw her as viable. In the industry, if they can make money off you, you're still viable. Perhaps that's the reason for Lauryn being the way she is. Or maybe there was really something wrong. Who could really know? Her final attempt at reconciliation with the Fugees in 2005 spawned a lackluster song and a quick breakup before the album got finished. There's more to it than what was said about Lauryn, considering what we know about Wyclef and Pras and their egos and shady characters. 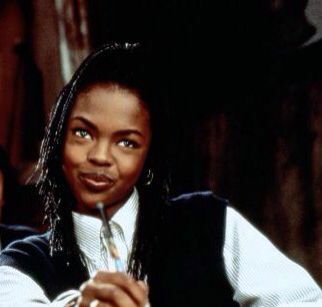 Regardless, we've never heard Lauryn's side of any of this. If you would like to hear any of her feelings? You'd have to look into the music. However, there is no new music to speak of. She has made sporadic appearances musically over the years, but the rumor mill has buzzed with talk of a new album for years. There's no telling if that's true or not, but we shall see in the future. I chose not to dwell or mention her tax issues and her prison sentence, because I have strong feelings about that, and I rather not elaborate here. 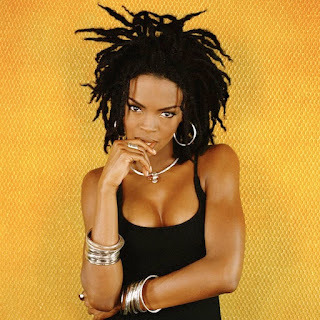 I think Lauryn was targeted in some ways after a while, and the industry didn't like her for revealing some secrets and for calling them out in a way in her music and seldom interviews. She certainly didn't make any new friends calling out the ways of the Vatican while there, and criticizing the long publicized history of the Pope, the Vatican, and their child molestation over the years. Lauryn said nothing wrong there and spoke truth, but being that her image was already taking a hit, people labeled her crazy (while likely agreeing with what she said.... but most of society is full of hypocrites). In the midst of all this, Lauryn would record a ton of songs and unreleased material has made its way to the internet over the years, but nothing official. The biggest glimmer of hope of new Lauryn Hill music came in the form of Lauryn making 6 songs for a new Nina Simone documentary, which garnered her praise In 2015. The last 15 years of her career have been full of ups and downs, but make no mistake about it, Lauryn Hill is an enigma. She's special. She bucks the norm and the status quo and despite her sporadic appearances, her tardiness to her own shows, and her moments of confusion, she remains one of music's greatest female artists, with a few projects under her belt, and likely enough material in the stash to last her a few more albums. 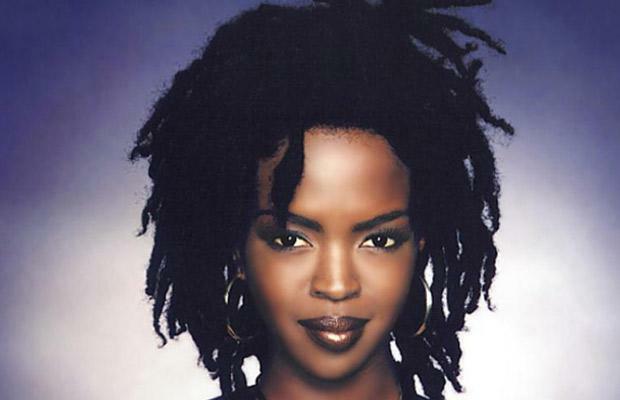 Will we see Lauryn resurface with new music and an album soon? Who knows, but she is going back on tour with Nas this year, a sign that maybe Lauryn is making a step in the "right" direction. Only time will tell.